We recommend you some beautiful nearby places to visit with Kato Zakros as your base. It is a beautiful coastal village 19km south of Kato Zakros. 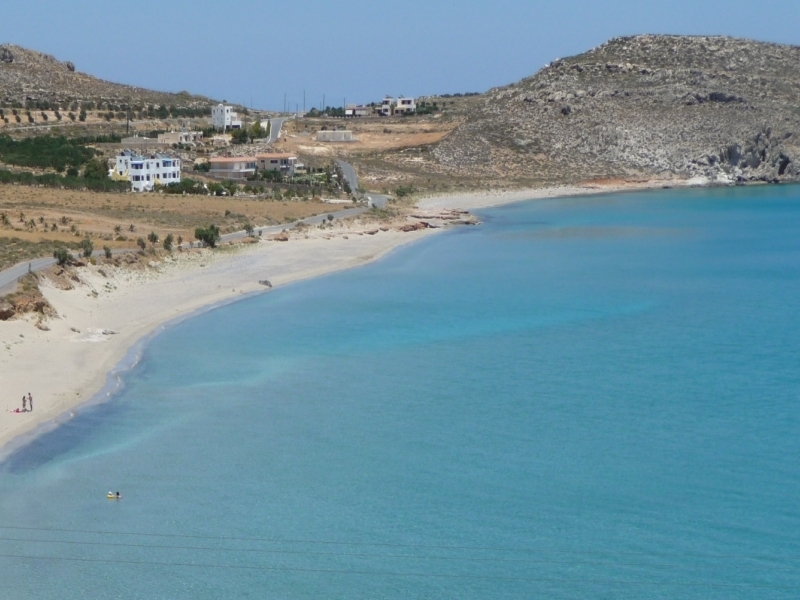 A characteristic of Xerokampos is the quality and variety of its beaches. It consists of bays and coves that cover an area of 5km of coast. Almost all the bays have white sandy beaches and clean and clear blue waters. You can enjoy both your swim at the isolated and scenic bays that offer you peace and quiet and also your lunch or dinner at the taverns by the beach. 18km from Kato Zakros is the village of Chochlakies. 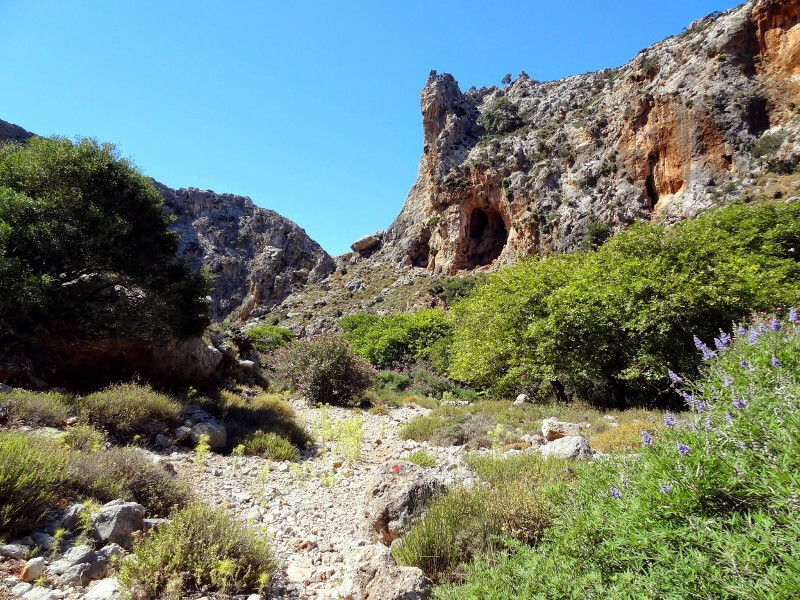 You can leave your car there and then walk through the gorge the signed path towards Karoumes beach. It is a one-hour walk until you reach the isolated beach and enjoy your swim. It is a good idea to wear appropriate shoes and carry with you water or anything else that you might need as you will not find something on the beach. 40 minutes away from Kato Zakros is the famous palm groove Vai. 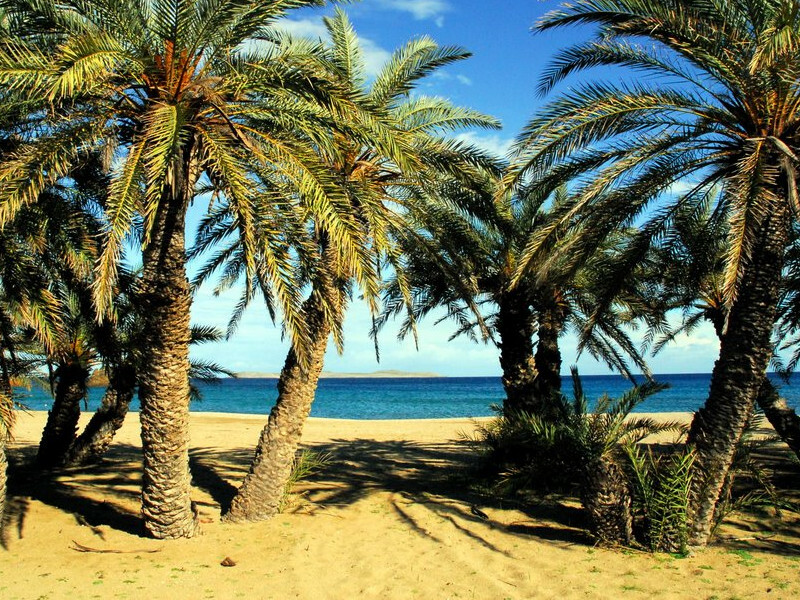 It covers an area of 200.000 m2 and its palm trees belong to the kind of Phoenix Theophrasti. It is protected from the Greek and European legislation and it belongs to the protected area of the Natura 2000. The valley of Vai reaches a beautiful and well-organized beach, which has a restaurant, a refreshment stand, water sports and more. 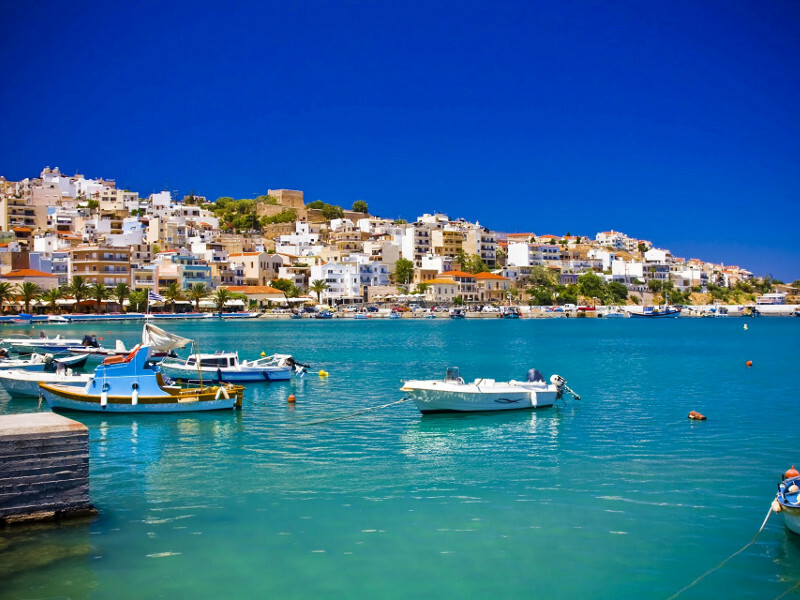 Sitia is a beautiful coastal town that is found roughly 1 hour far from Kato Zakros. It is worth visiting Sitia and make a walk round the shops, enjoy your coffee at the harbor, the local ice cream or visit the Folklore museum, the Fortress of Kazarma and the Archaeological museum, where you can find many valuable exhibits from the Palace of Kato Zakros, the ancient town of Itanos and from other nearby regions. 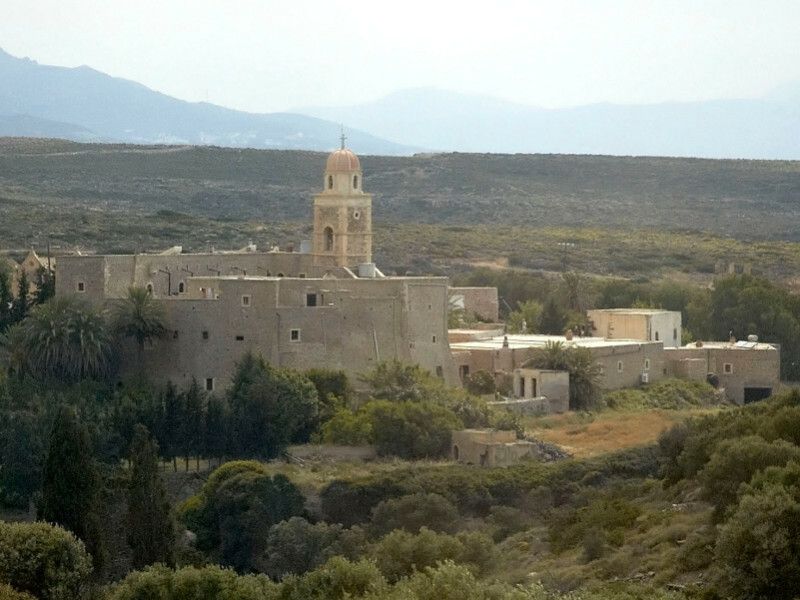 Sitia was the homeland of Myson, one of the 7 ancient wise-men, and of Vitsentzos Kornaros, the creator of Erotokritos. 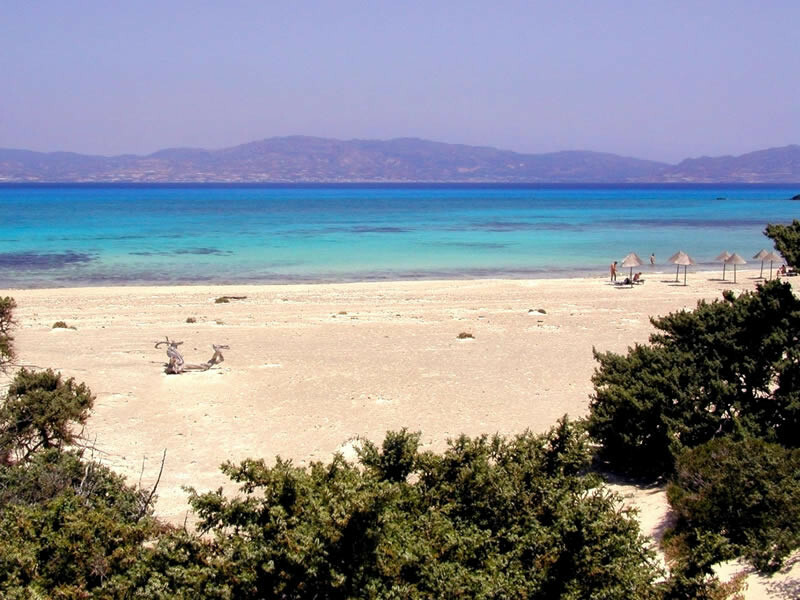 A little more far away from Kato Zakros and 8 sea miles south of Ierapetra is the island of “Chrissi” or “Gaidouronisi”. It is a small island with an exotic beauty that does not remind you anything of the Cretan land. The characteristic of the island is the beautiful beaches which have only white shells and green-blue clear waters. The bottom of the sea that surrounds the island is rich in fossils that have been found on volcanic rocks that are dated 350.000 until 70.000 years before, when the island was sunk in water.